Have a gathering this weekend? 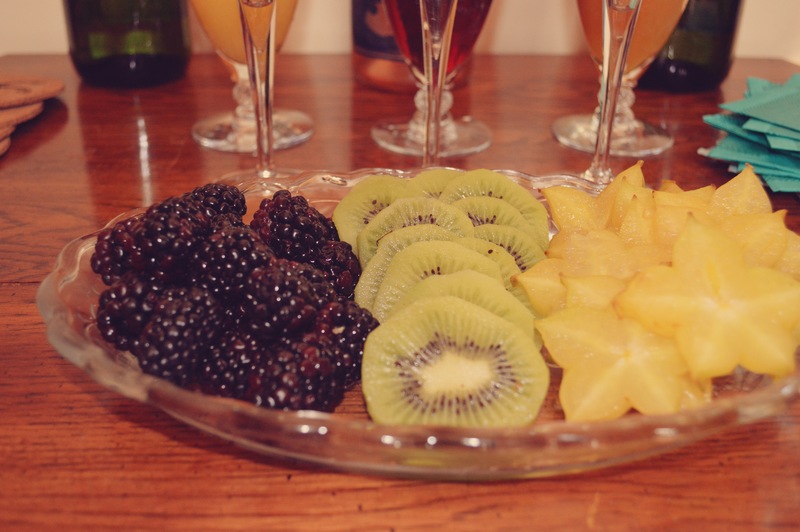 Offer your guests a Make-Your-Own-Mimosa bar! Your friends will fun the endless combinations of breakfast beverages and will make a fun activity during the brunch. 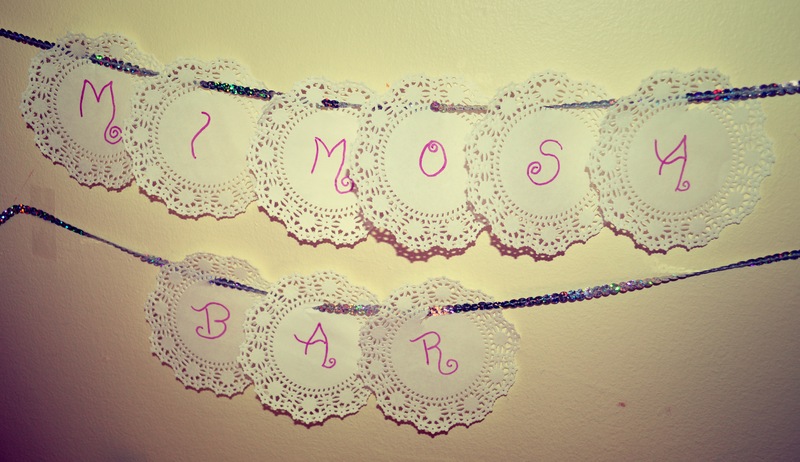 A mimosa bar will free you, the host, from being the bartender and more time to enjoy the party! 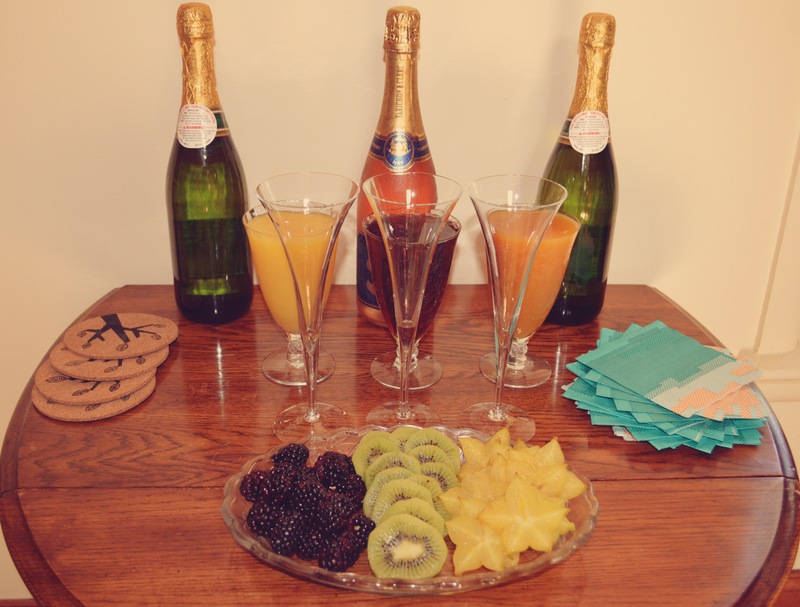 See how we put together this simple mimosa bar! Set a side a table just for the cocktails. Stock it with cold champagne, an assortment of juices, glasses, garnishes, cocktail napkins and coasters. Your guests will love the endless options they can choose from! 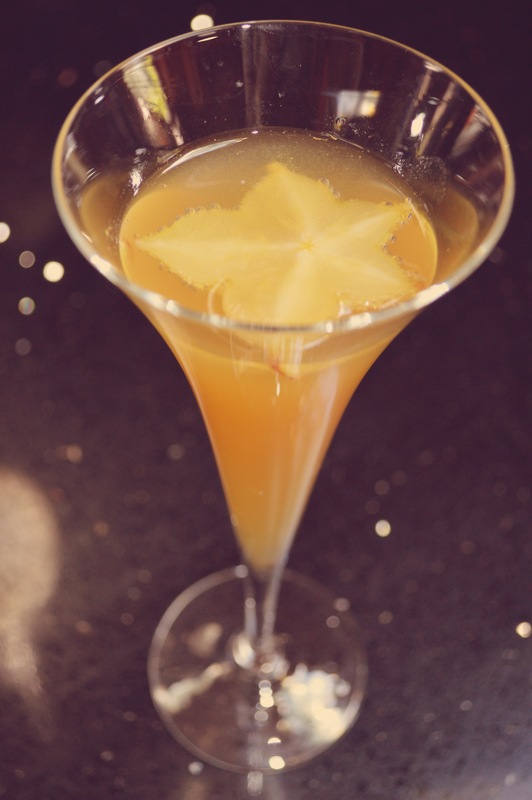 For this event we chose to offer peach, pomegranate and orange juice. Peach was the biggest hit! The garnishes will add the finishing touches to the cocktail. 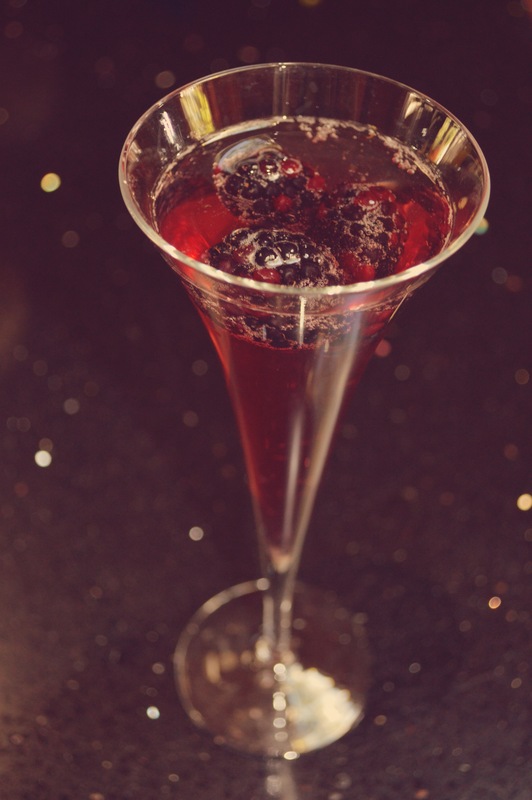 For juices that are not sweetened such as the pomegranate, fruit will enhance the flavor the the juice and the champagne. 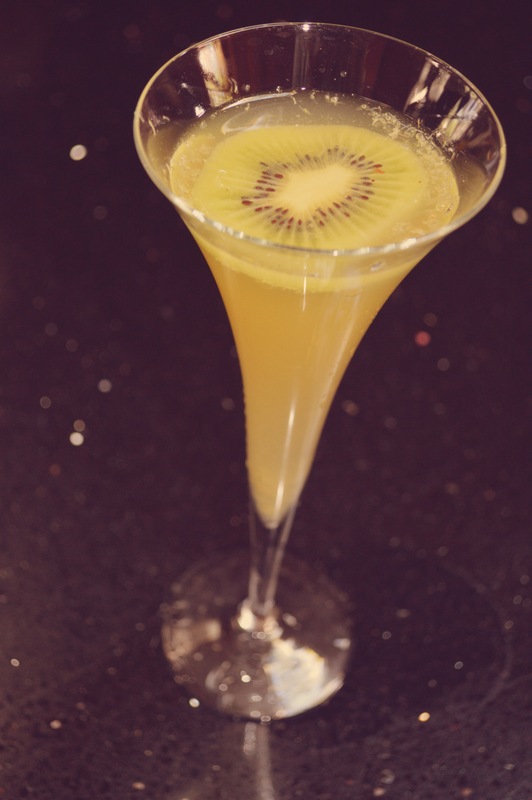 What are other breakfast cocktail creations you served at your mimosa bar? Share with us!